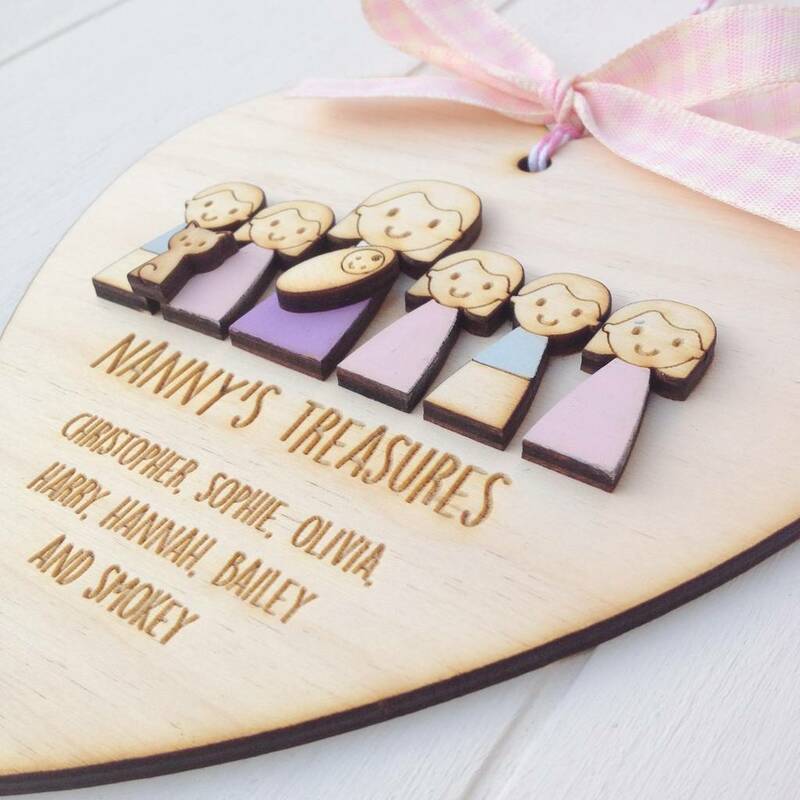 A beautiful handmade wooden Nanny and grandchildren hanging keepsake decoration. 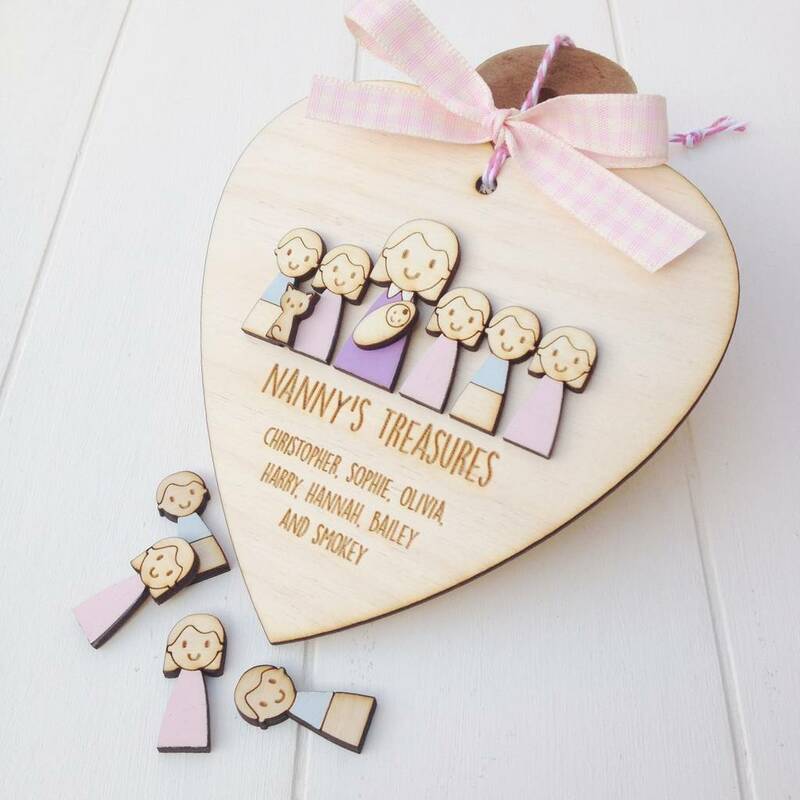 This is a gorgeous unique gift your Nanny. 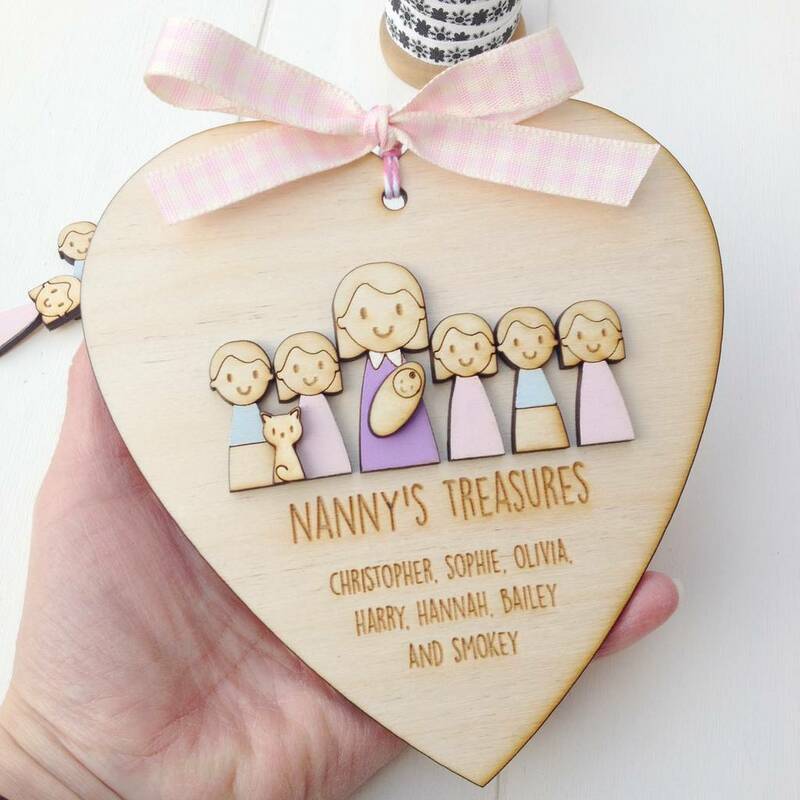 The heart features a cute hand painted Nanny and up to 7 grandchilden and up to 4 pets to represent all nanny's little ones. 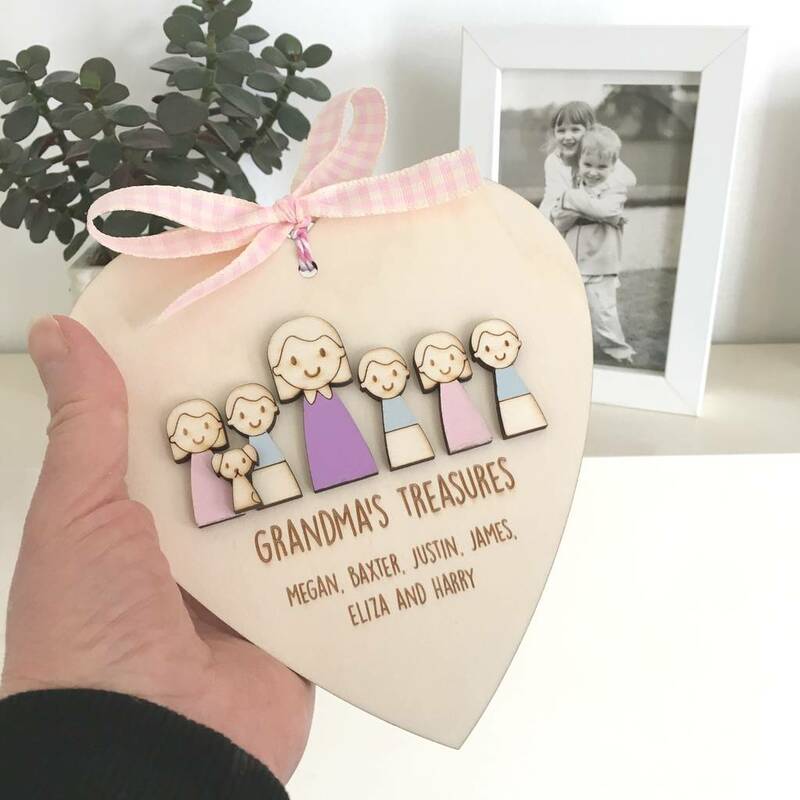 Each heart comes with nanny as standard and your choice of extra figures and is finished with pink and white twine and beautiful pink gingham ribbon. A beautiful keepsake for you grandma to treasure for years to come. Please use the option menu to enter the names and the figures. To further personalise your heart you can also choose to add a short message to the back if required. Gift wrap is also available at a small extra cost. 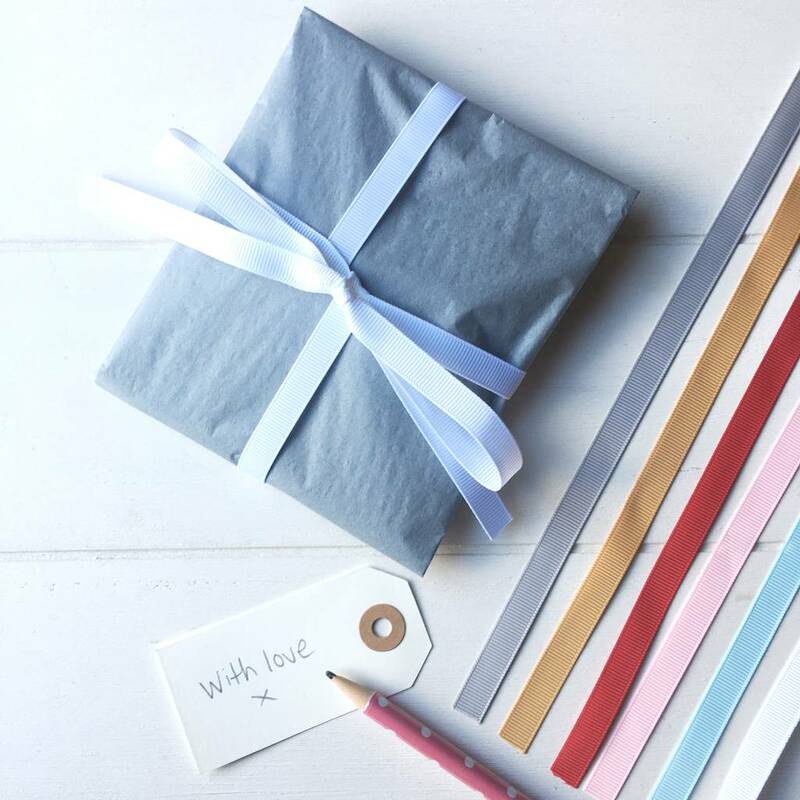 Your gift will be beautifully wrapped in grey tissue paper and finished with a choice of six different grosgrain ribbons and a gift tag. If you have any questions please use the 'ask seller a question' button. W 14.5cm x H 15.5 cm and weighs approx 50g. This product is dispatched to you by just toppers.